Stanislav Cherchesov's men negated the much-talked-about Mohamed Salah threat during their 3-1 thrashing of Egypt on Tuesday. With two wins from as many game, Russia have all but sealed a place in the knockout stages. Hosts Russia had headed into the World Cup in the worst possible form, having not won any of their previous seven games in the lead up to the quadrennial tournament. A depleted squad following injuries to key players, including influential striker Alexandr Kokorin, meant coach Stanislav Cherchesov had a tough job in hand. The poor pre-tournament form also saw the hosts start as the lowest-ranked team in the tournament. With Uruguay and Egypt in their Group A, not many would have given Cherchesov's men a chance to progress to the knockout stages of the tournament. Russia though have managed to defy odds — and how! The 70th-ranked team are all but into the knockout stages of the tournament. They have already scored as many goals as Spain netted during their World Cup-winning campaign in 2010 — 8. Even after their 5-0 win on the opening day of the tournament against Saudi Arabia, some would not have believed in the hosts' abilities to go deep into the tournament, given the insipid show from their opponents. However, the 3-1 decimation of Egypt on Tuesday, June 19 would have not just instilled belief in their fans but sent warning notices to the tournament favourites, who are already having a tough time in Russia. Mohamed Salah's return was the talking point ahead of the match. 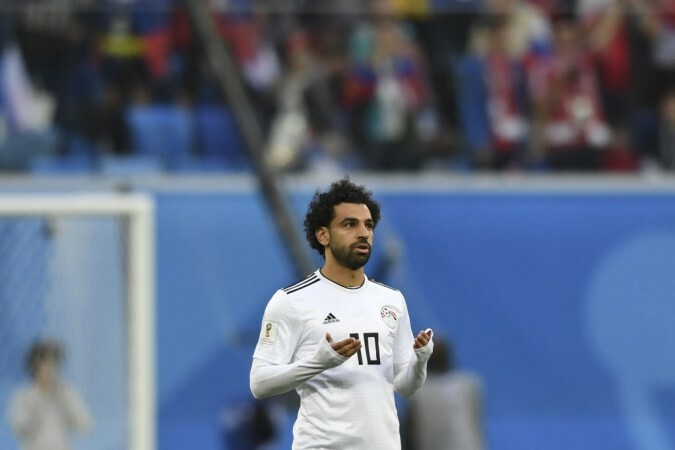 Much to the delight of Egyptian fans, the Liverpool forward, having missed the Pharaohs 1-0 defeat to Uruguay on Saturday, started the match in St. Petersburg. Russia made an early statement by getting off the blocks quickly and putting early pressure on Egypt. Alexandr Golovin was troubling the Egyptian defence, which looked so assured against Uruguay, who had two of the best strikers in Edinson Cavani and Luis Suarez. At the other end, Salah, who looked a bit rusty on his comeback, was kept quiet by the Russian defence, especially veteran Yuri Zhirkov. Both teams had headed into the break at 0-0 after failing to make any meaningful use of chances they had. However, the deadlock was broken as early as in the second minute after the break after Egyptian captain Ahmed Fathi netted an own goal. Russia found a spark and within 15 minutes, they had tripled their lead, leaving the Egyptian fans at the stadium distraught. Denis Cheryshev and Artem Dzyuba, who had scored after coming off the bench for Russia in the tournament opener, started on Tuesday. Both of them made sure they added to the tally. Salah pulled one back in the 73 minute after netting from the spot but the Russian comfortably 'held on to their two-goal lead. When asked about the stunning turnaround after what was believed to be a "difficult" buildup to the tournament, coach Cherchesov said: "'Difficulty', 'problem', we don't like these words, we don't have them in our vocabulary." He added: "We have some issues and they're being dealt with as soon as they emerge. We had set our goals, in terms of our players, in terms of our personality, skills. We were full aware of the direction we had taken." Russia will confirm their Round of 16 berth if Uruguay avoid a defeat against Saudi Arabia when the two teams meet in Rostov-on-Don on Wednesday. Meanwhile, Egypt coach Hector Cuper rued not having Salah fit for training in the lead-up to the tournament. The Argentina tactician though revealed they were in a tricky situation as the priority was to help the superstar forward completely recover. "We all know what Mo Salah means for the national squad, he is a crucial vital player. He is a point of reference, he has given the team great satisfaction. He suffered an injury and we have all been very worried about it. We would have all prefered his injury not to have occurred but that happened," Cuper told the press after their defeat. "The only thing I am sad for is that I would have liked him to have him present at the training camps with everybody else. But of course, again, the priority for him was to recover completely from the shoulder injury. We didn't have him available for Uruguay, we had him today but that wasn't enough." Egypt had returned to the World Cup finals for the first time in 28 years. However, it is going to be a short-lived journey for the African team in Russia.